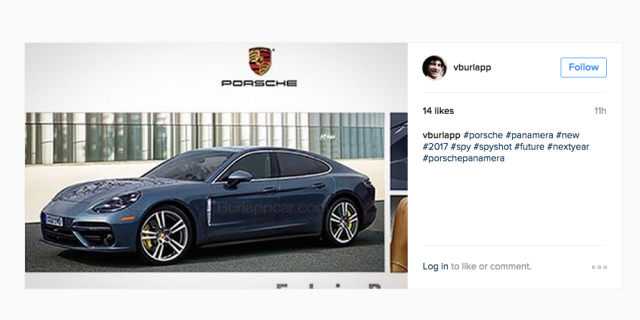 Last week, an advertisement leaked on the social media revealing the alleged design of Porsche Panamera. 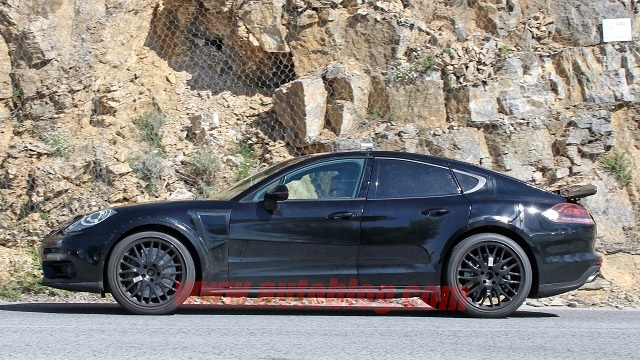 Now Porsche’s failure in keeping its launch a secret have been further intensified as the spy shots of, what looks like a Panamera test mule, have surfaced. 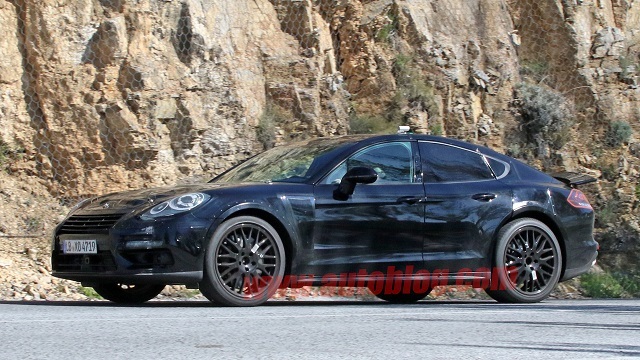 The test car looks smaller in size than the current Porsche Panamera. 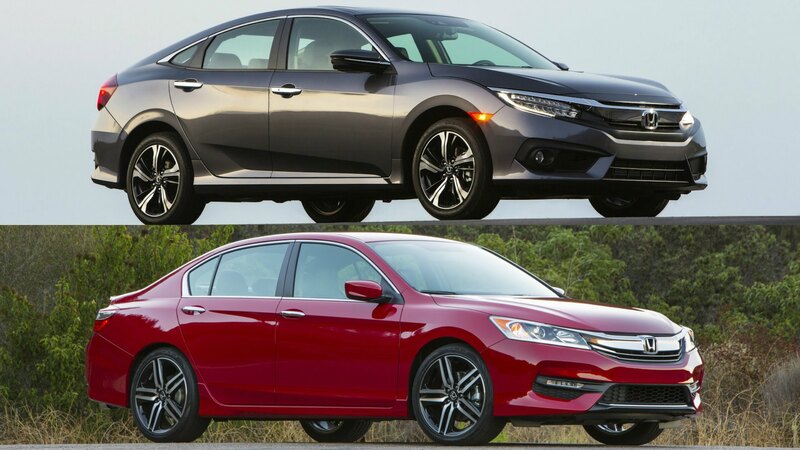 Photos clearly reveal a shorter wheelbase along with clearly visible cut lines of rear doors through camouflage. 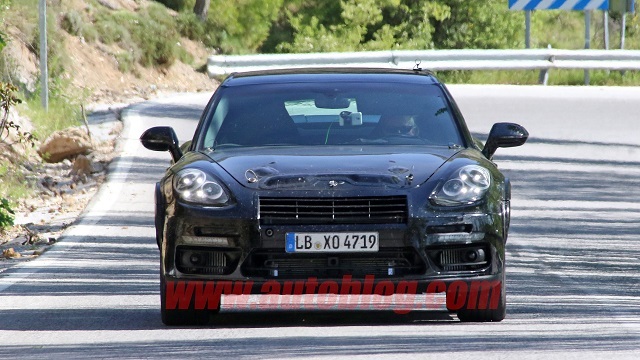 However, there is a chance of it being the rumored Panamera disguised as a sedan. But, this is not it! If not the Panamera, this may start things up for real regarding Porsche’s proposed entry-level sedan, Pajun, which after making headlines last year have got insignificant development. Also Read: 2017 Porsche Macan Turbo Launched in Pakistan! 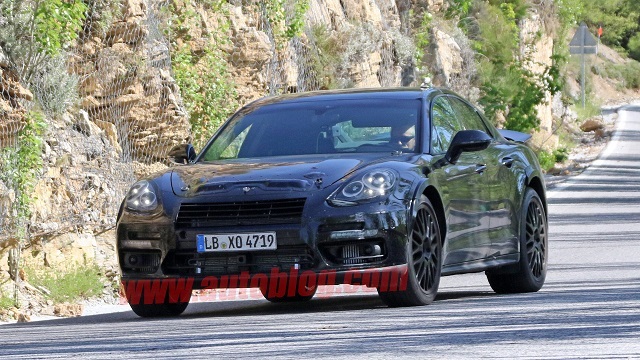 Also, with Porsche confirming a wagon version for the Panamera and a rumored coupe too on cards, the speculation about the Panamera family is on the rise. 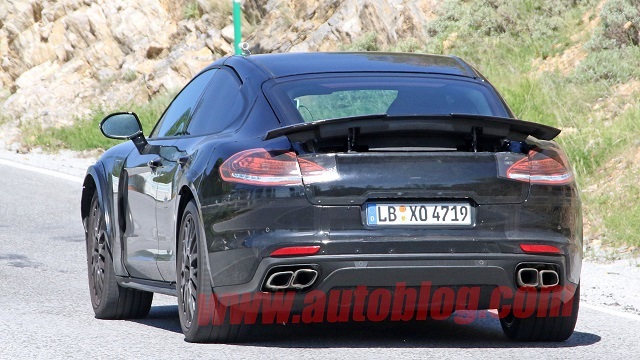 Spyshots of a smaller Panamera and social media leak of Panamera all testify its rumored September release at Paris Motor Show. 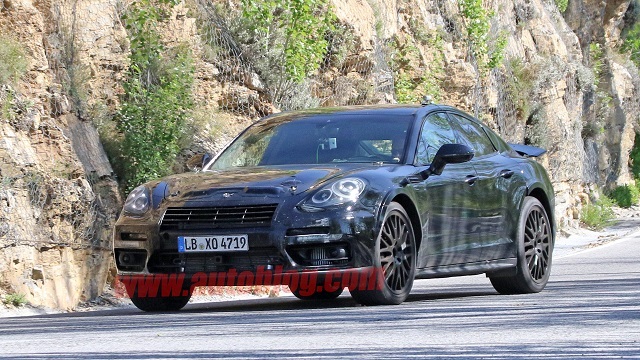 Most importantly, if the rumors are to be believed then we might be seeing an entry-level Porsche made sedan sooner than we think.